A few weeks ago we were visiting family in Denver, and for one afternoon we also got to visit our friends Evan and Nicola. (You may recognize them from a couple photos we took several years ago in the Family/Kids gallery) Their daughter Genevieve was born just a bit before Katherine was and it was neat for them to get to play together again! 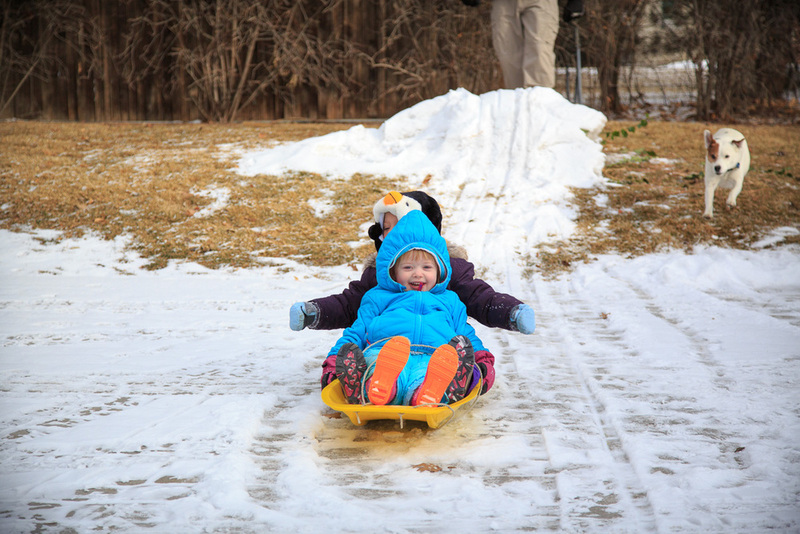 They had a blast, especially when Evan broke out the sleds!